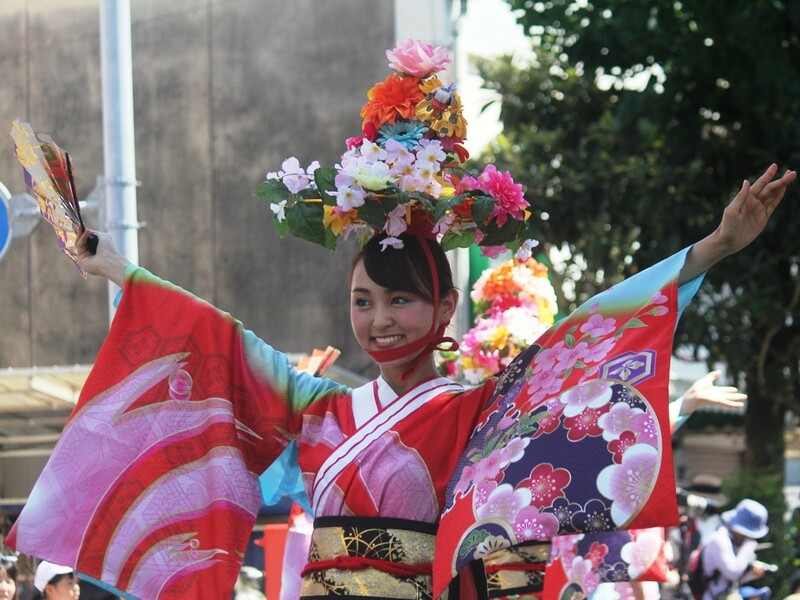 “Yosakoi Matsuri” (Yosakoi Festival) is a vibrant summer festival held in the center of Kochi City from August 9 to 12 every year for 4 days. About 200 teams will walk around the city with different costumes and original songs every year, and perform a powerful performance at the stage. Especially the festival on August 10th and 11th will be filled with the spirit of the teams who aim for the “Yosakoi Grand Prize”, and the enthusiasm will reach its climax. Street performance, which is a must-see point of Yosakoi Festival, is a style that goes around the blocked roads and shopping districts. It is very impressive that performers acting while gradually progressing. Just not walking while dancing, changing the formation, sometimes stopping, occasionally stretching and strengthening, the choreography and movement are spectacular. Each team raises a different theme every year and makes it entertained in various styles. Teams with attractive female unique glamor and suppleness have a refreshing impression even in a muggy climate, so they can not get tired of watching. There are a lot of men, of course, for dancers. There are also teams that go through the style of female only, but there are teams that incorporate men’s dance and are attractive with powerful and dynamic feelings. There are also small pretty dancers in the team, so check it out. There are teams that can participate only up to junior high school students, teams who perform acts for teens, etc. It is a familiar festival for children. The stage where Yosakoi Dance is held is called a competition place, a performance field, and it is scattered about 16 places in Kochi city. Because the examination will be carried out in places where the venue is named, the enthusiasm of the dancer’s heat will also be different. 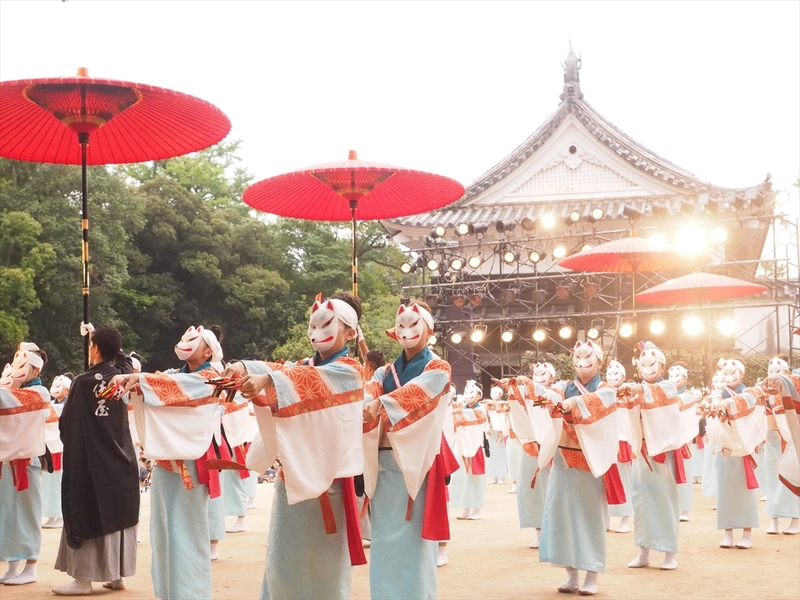 At the Yosakoi Festival, the eve of festival is held on August 9 every year, the 10th and 11th are the main festival, the national convention and the post event celebration will be held on the 12th. The main excitement is the main festival, but there are also places to see the performances of the winning teams of the previous year, the eve of festival where you can enjoy fireworks, and the post event celebration that celebrates the final strength. 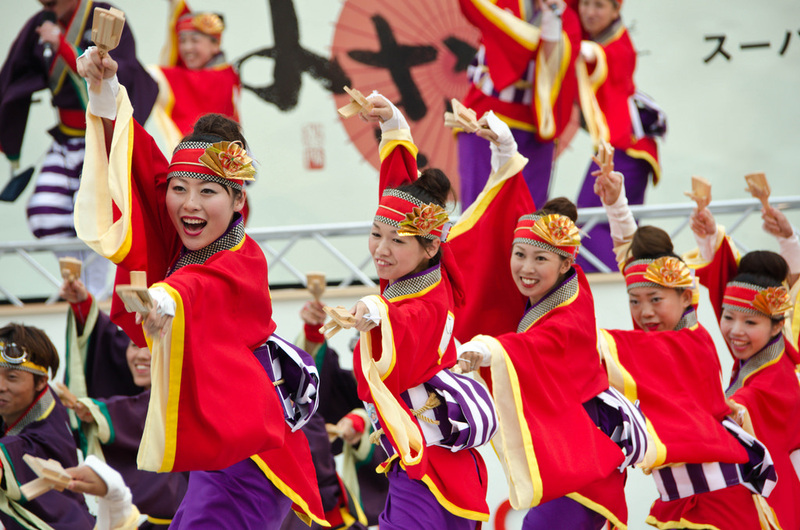 Please feel yourself by all means in the summer big event “Yosakoi Festival” where Kochi City as a whole will be excited. Since “Yosakoi Matsuri” (Yosakoi Festival) prayed for civic health and prosperity and urged shopping center promotion, the Kochi chamber of commerce took the lead and launched it in August, 1954. It is held in the competing space nine, and seven theaters in Kochi-shi every year for four days on August 9 (eve), on tenth and eleventh (the actual event two days), and the twelfth (a post-night festival and a national conference). More than approximately 200 groups, and more than about 18,000 dancers with Naruko (musical instrument) dance wildly, and gay decoration Jikatasha (festival truck) is drive through in the city, It is the festival of summer of tropical Tosa. Yosakoi Matsuri always takes in new things, and the individualization of the team advances year by year. It is from traditional music to a performance of rock band, and the hairstyle and clothes of rich individuality are also one of the highlights. The arrangement of a dance is also various and does not bore a spectator. The entertainer-related produce team appears recently, too. You can enjoy the figure which each team improves every year. It is a festival to participate from a small child to a youth and elderly widely, and to be able to enjoy. Although the festival and event with the name of “Yosakoi” all over the country are held these days, the Yosakoi Matsuri of Kochi Prefecture is the head family of them. 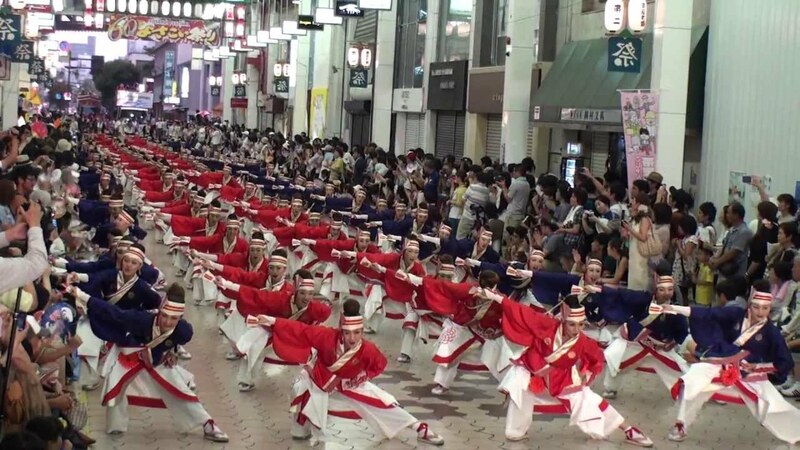 Yosakoi Matsuri of Kochi is nationally famous as a festival of Shikoku along with Awa Odori of Tokushima. 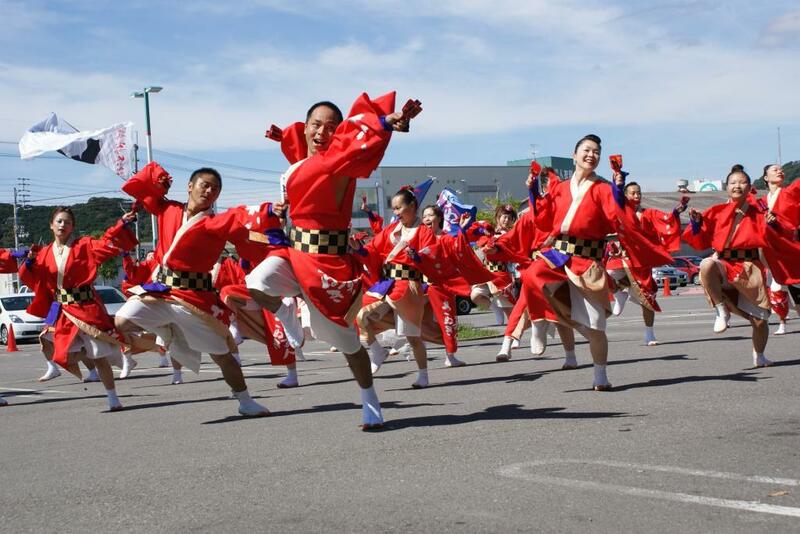 In two days of the actual event, the dance performance of Yosakoi can be enjoyed in the everywhere in the town. The whole town is dyed in Yosakoi color.